Alluvial soils of valleys of the Danube and Mlave rivers represent priority development areas with favorable conditions for life, agriculture and tourism in eastern Serbia. Operation of the thermal power plant Kostolac results in the emission of potentially toxic pollutants into the air, water and land. 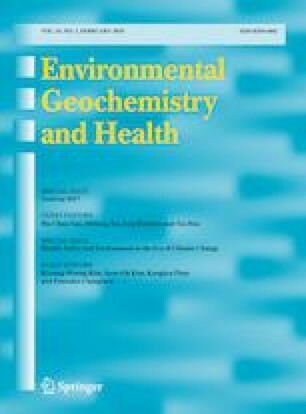 The goals were to determine the soil pollution with inorganic pollutants using different pollution indices, to identify of the sources of pollutants by means of principal component analysis and the loading of each factor for individual element assessed by multi-linear regression analyses. Chemical characteristics of the studied area resulted in division of the area into four impact zones upon the distance from main pollutants (power plant blocks and ash disposal dumps). There was no established soil pollution with potentially toxic elements in bulk of the agricultural territory. Two principal components (PC1 and PC2) explained about 73% of variance. Three studied elements (As, Cu and Pb) showed anthropogenic origin of their most concentrations in soil, while other elements (Cd, Co, Cr, Ni and Zn) were of a natural (geological) origin. Single pollution index showed moderate pollution level by Ni. Integrated Nemerow pollution index showed low to no pollution levels, indicating slight ecological risk. There were no established limitations for agricultural production in the studied area, except for the only spot polluted by As due to the great flooding event in the studied year. This work was supported by the Electric Power Industry of Serbia, Belgrade Power Plants and Mines Kostolac and the Serbian Ministry of Education, Science and Technological Development, under the Project nos. 37006 and no. 173018. Baxton, R. (2008). Statistics: Correlation. http://www.statstutor.ac.uk/resources/uploaded/correlation.pdf. Dutch Target and Intervention Values. (2000). Circular on target values and intervention values for soil remediation. ANNEX A: Target values, soil remediation intervention values and indicative levels for serious contamination. www.esdat.net.